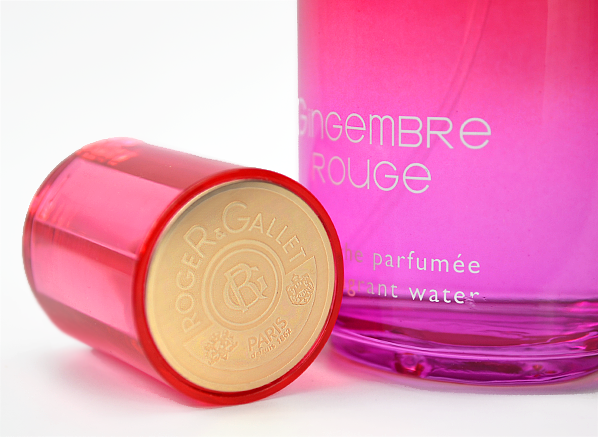 Roger & Gallet Gingembre Rouge is the fragrant equivalent of an exotic getaway. Juicy, floral and a little spicy, it captures the sultry feel of an evening spent on a terrace surrounded by ginger flowers, with the sun streaking red across the sky. It goes without saying that I’m head over heels. Composed by iconic perfumer Alberto Morillas and Amandine Clerc-Marie, Gingembre Rouge pays homage to the beautiful island of Zanzibar, a place of vibrancy coupled with a laid back feel. The perfumers intended to craft a juice that poses as a love letter to the island of arresting sunsets, abundant aromas and richly textured backdrops. The result is a lively, sensuous and addictive fragrance, captured in a bottle that evokes the colour of a ginger flower. Gingembre Rouge is a distant relative of the classic Gingembre Fresh Fragant Water Spray, also composed by Morillas, which pairs citrus with ginger absolute to produce a sparkling and elegant ode to ginger. This updated version borrows the same codes as that original scent, but amps up the plush and exotic feel of the core spicy note by pairing it with luscious pomegranate, mandarin, lychee and orange blossom. The dynamic personality of ginger is presented in a trifecta of energising notes: fresh ginger at the opening, beautiful ginger flower in the heart, and candied, crystallised ginger in the base. The overall effect is mesmerising. The bottle, like all Roger & Gallet bottles, is tall, sleek and rounded. The graduated colour of crimson red to fuchsia recalls the unique colouring of a ginger flower, and is topped with a signature jewelled stopper complete with a golden embossed logo. It’s brings together the best of traditional French perfumery with a touch of the exotic, and it looks so inviting when sat on a dressing table. The perfect summer scent? We think so. Now closed! Congratulations to Bailey J, Siri E and Leearron J! 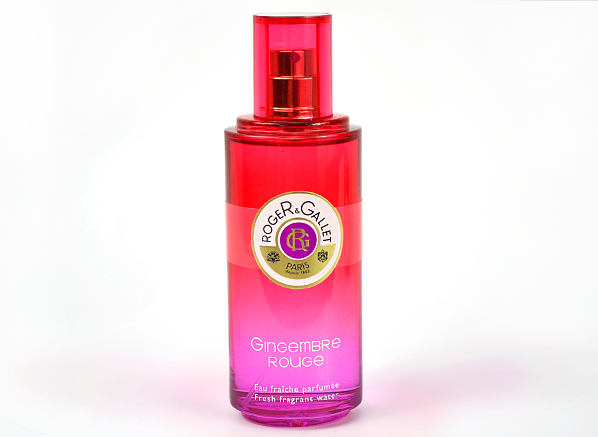 We have 3 Roger & Gallet Gingembre Rouge Fresh 30ml Fragrant Water Sprays to give away! To enter, simply comment below and let us know your ideal exotic getaway. The competition closes on Friday 11h July. Best of luck! No purchase necessary. A purchase will not improve your chances of winning. Contest begins 3rd July 2014 and ends 11th July 2014. Winners will be selected in a random drawing on or about 11th July 2014. One prize winner will receive the items stated above. If the winner doesn’t respond within 7 days, the competition will be redrawn. Prizes must be accepted as awarded; not redeemable in cash or credit. I just love Roger&Gallet Ginger products. I first bought them in France and have been unable to track down the Ginger in this country until now Well done Escentual This is a truly luxurious product that makes you feel so good once used The smell is divine. This entry was posted on Thursday, July 3rd, 2014 at 4:33 pm and is filed under Competitions, Fragrance. You can follow any responses to this entry through the RSS 2.0 feed. You can skip to the end and leave a response. Pinging is currently not allowed. A trip to Fiji, laying in a hammock with plenty of fresh fruit & delicious cocktails! It would have to be Australia. I would love to be in Bora Bora. Somewhere in the Caribbean would be nice! Hawaii….the exotic flowers, the scent of the mountains, the beach….heaven! i would love to go to Barbados for its beautiful beaches. I have always wanted to go to Santorini in Greece – hope to win the lottery soon! Playa Del Carmen, Mexico ! Thailand – I visited there on my honeymoon several years ago and would love to go back! Zanzibar at sunset watching Africa go by – my idea of exotic heaven! The Maldives perfect island getaway!! The middle of a rainforest – any would do! Marrakech – exotic, colourful, and full of wonderful memories as I got married there earlier this year. Puerto Rico – where the locals thought my hubby sounded like David Niven … he’s a Brummie! A Bora Bora relaxation adventure! Crystal clear waters & serene beauty: paradise! bermuda well we can all dream! Anyplace warm and sunny with wonderful beaches! I’ve just got back from Glastonbury. One word for the toilets could be exotic. My exotic getaway would be Hawaii. Bora Bora. It has the most beautiful clear waters and scenery I have ever seen. The beautiful island of Samoa; hot sun, beautiful beaches, fresh fish, exotic cocktails! I dream to visit in Cyprus! White soft sand beach, turquoise water, blue skies and just the sound of lapping water and bird song, heaven, just need to know where to find it. Ibiza. In the sunset. Cocktail in hand. Perfect. Cuba, such a beautiful place. Penang, Malaysia. The most beautiful country I have ever visited. Mauritius – one beautiful place! My favourite city in the world Paris, exotic in many ways!!! Madagascar with lemurs, chameleons and huge mangos!!! I’d like to visit the Nassau Paradise Island in the Bahamas! My ideal exotic getaway would be to a treetop hotel in Africa with miles of forest below. Plodding round in a sheer kimono and sunbathing until the sun went down. Cap d’ail, a little village on the French Riviera, drinking a g & t, wearing a white lace dress and THIS scent. Somewhere in the Caribbean I think – with secluded beaches and blue seas and lovely sunshine! Deserted island, white sand, blue sea, tree house and hammocks…. Bliss…. Hawaii, definitely. Paradise on Earth. Anyway where the sun in shining with my gorgeous husband, a good book and a long drink! Preferably in the Indian Ocean! Heaven! A year off sailing the trade winds in the South Pacific between Tahiti, The Cook Islands, Fiji etc please! Greece, zakynthos – Great people, Great beach, Great food – Great times! Egypt, love the sights, smells and sounds, the heat during the day and the cool of the desert at night. I would love to visit St Lucia, so green and lush, a paradise dream! Indulging self in an exquisite hotel by the beach in Bali, Indonesia. It’s got to Marrakech for me. Full of colour, the fragrance of spices, the temptations of the souks – a perfect exotic getaway. I would love to go to the Maldives or Bora Bora, somewhere beautiful, warm and peaceful where the senses are indulged. I think that Madagascar would be amazing – during the cooler, dry season of course as you’d want to avoid the monsoon period. Lemurs, endemic orchids (wonder how they smell like? ), chameleons, the famous traveler’s palm, baobab trees…By the way, have you seen their beaches and crystal clear waters? As a foodie, I’m really intrigued in tasting Ro (rice cooked with herbs) and their popular snack Koba, a helping of rice, banana and seafood. Litchel, a lychee aperitif, or the Toaka gasy (made from sugarcane and rice) would be a perfect ending of any day under the arm of my loved one. I’d love to go to Madagascar! I am from India and exotic means a totally different thing to me! Paris is an exotic culture I would love to experience. The language, food, art and of course Grasse for perfumes!